"I hope there's no product placement in this." 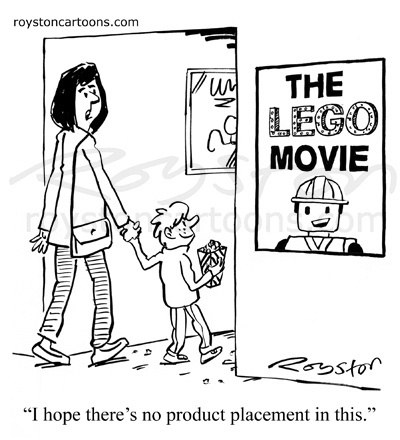 This cartoon about The Lego Movie can be seen in the current Private Eye. 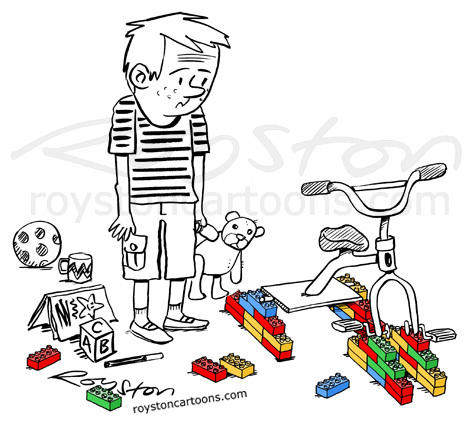 And here are a couple of older Lego cartoons. 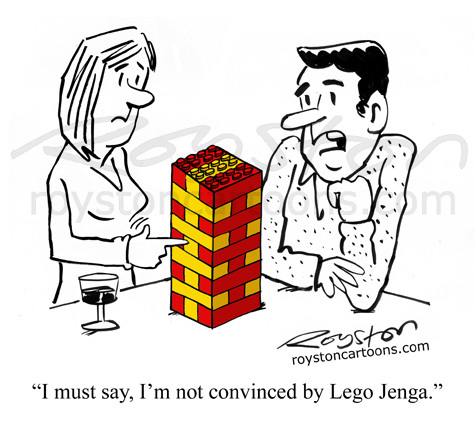 "I must say I'm not convinced by Lego Jenga." I heard the Lego Jenga line on QI on BBC Two the other day, but I can assure you I didn't steal it from there. I stole it from my son. And talking of stealing, the one below never sold, which is a shame as I thought it was a nice visual gag.